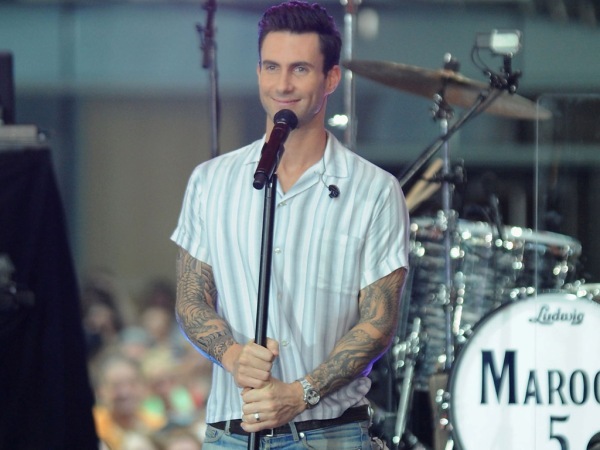 Adam Levine's got a man-crush – and we don't blame him! Adam Levine finds Chris Hemsworth “super good looking”. The 35-year-old singer has earned plenty of praise for not only his music but also his appearance, winning People’s Sexiest Man title in 2013. But this year the accolade went to the Australian actor, but Adam has no hard feelings. "Listen he's a super, super good looking [guy]," he gushed to Access Hollywood. "He's a handsome dude.” Chris (31)is a parent to three children with wife Elsa Pataky, and balances fatherhood with being a Hollywood heartthrob. His roles have been reflective of his charismatic presence, and Adam recognizes this. "He's Thor, for Christ's sake," The Voice coach went on. "I mean, the dude deserves it. Gosh!" When Chris found out about his win, he was decidedly modest about it, but admitted he may later “brag”. He joked he should get out of some household chores because of it. "I think you've bought me a couple of weeks of bragging rights around the house," he laughed to People magazine. "I can just say to [Elsa], 'Now remember, this is what the people think, so I don't need to do the dishes anymore, I don't need to change nappies. I'm above that. I've made it now.'" He and his spouse reportedly found it “pretty funny” that he scored the title. Nothing much has changed for them, however, as they still live in their Malibu home and do regular day-to-day activities with their growing family. "We just had a big beach day with the kids, swimming and kicking the ball around," Chris said in the same interview. "That was the first time in a long time we've done that. That's what it's all about."